Late last week an interesting story emerged surrounding Nvidia and the GeForce Partner Program (GPP). The GPP was quietly established by Nvidia as a means of working closer with OEMs and add-in board (AIB) partners on new products, product launches, marketing and so forth. At least, that is the intention of the program at the surface level, but an investigation by HardOCP has exposed a much less savory purpose behind the GPP, with elements of an anticompetitive and anti-consumer nature. The story begins around two weeks ago, after HardOCP began their investigation into GPP. Getting ahead of the story, Nvidia’s director of partner marketing, John Teeple, put up a blog post outlining Nvidia’s new initiative. Partners are signing up, fast. They see the benefit of keeping brands and communication consistent and transparent. Nvidia mentions transparency several times, but it’s not clear what Nvidia is referring to exactly. Is it transparency into who Nvidia partners with for the GeForce Partner Program? Does the GPP now provide transparency into the partnerships Nvidia have held with OEMs and AIBs for years? As HardOCP points out, despite this transparency claim, it’s actually not clear which companies are part of the program. A second interesting point is Nvidia’s statement that the GPP isn’t exclusive. Partners can continue to sell and promote products from anyone, according to the blog post. This is an important statement and we’ll get into why shortly. Now on the surface, it doesn’t sound like there is anything inherently wrong with the GPP. It just sounds like a typical partnership arrangement between Nvidia and OEMs, delivering both sides mutual benefits like additional marketing and brand placement. But when HardOCP started talking to the companies involved, questions of anticompetitive and anti-consumer behaviour became apparent. Note: MSI may or may not be part of the GeForce Partner Program. We don't know. While investigating the GPP, Kyle Bennett from HardOCP spoke with seven companies, none of which wanted to go on the record. However they did speak anonymously about the GPP, and, according to Bennett, all the people he spoke to had similar opinions about the program. These opinions stem from a key component of the GPP agreement document, which Bennett read but decided not to publish. This component states that GPP partners must have their “gaming brand aligned exclusively with GeForce”. In other words, if a company like Asus wanted to join the GPP, they would not be allowed to sell AMD graphics cards as Republic of Gamers products. No more ROG-branded Radeon video cards, no more ROG laptops with AMD graphics inside. Of course it’s up to the partners whether they want to be part of the GPP and accept these terms – Nvidia isn’t explicitly forcing anyone to sign up – but there are some pretty significant consequences to not signing up. Specifically, the GPP provides benefits to partners such as launch partner status, high-effort engineering engagements, marketing development funds, social media and PR support, game bundling and more. Let's not forget Nvidia holds a dominant market position in the GPU market and has not only held but solidified that position in recent years -- due in large part to a superior product offering. The GPP requires participants to align their gaming brands exclusively with GeForce, and if they don’t sign up to the program, their direct competitors that are part of the GPP will get special treatment from Nvidia. So there is a pretty strong incentive for OEMs and AIBs to sign up otherwise they’ll be left in the dust by the dominant player in the graphics market. And it allegedly goes beyond the terms outlined in the GPP document. 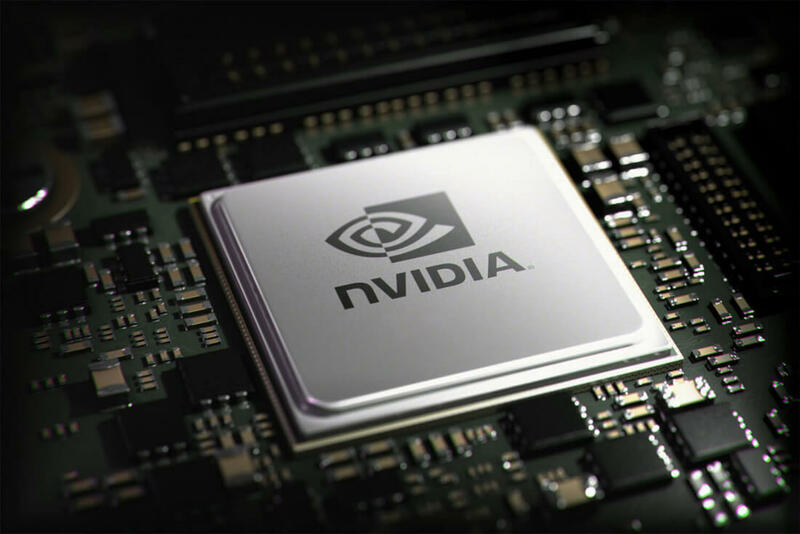 Some AIBs expressed concerns that it they do not sign up to the GPP, Nvidia would restrict GPU allocations and preference GPP members instead. This isn’t in the GPP agreement itself, but is allegedly happening through under-the-table agreements. The biggest issue that stems from this kind of arrangement is that OEMs and AIBs are essentially forced into signing up to remain competitive among Nvidia partners. If they don’t join the GPP, they won’t get benefits like marketing development funds or launch partner status. And if a competitor does join, they will receive a genuine advantage, which puts anyone that decides not to join the GPP in a disadvantageous position. Nvidia is requiring participants to align their gaming brands with GeForce exclusively, so in joining the GPP to remain competitive, OEMs and AIB partners wouldn't be able to use their gaming brand on AMD, Intel or any other competitor’s products. Technically a larger company would still be able to sell AMD GPUs under a non-gaming brand or run parallel promotions and push two brands, though evidently that would translate into higher costs and the gaming brands are almost always the most attractive to gamers. The potential end result is less competition and less consumer choice. An everyday buyer looking for a graphics card for gaming would see almost exclusively Nvidia products from partners that join the GPP. AMD products would be pushed over to the side by an agreement that most manufacturers would find very difficult not to sign. There’s a stark difference between what Nvidia is saying publicly about the GPP, and what the actual document allegedly states. Nvidia claims the program isn’t exclusive, yet the agreement asks for exclusivity with a partner’s main gaming brand. Nvidia claims partners can stop participating at any time, but in reality if they do, they will put themselves in a disadvantageous position. Nvidia claims the program is about transparency, but no one is saying which companies are part of the GPP. This sort of behaviour is a prime candidate for investigation by regulators. Intel has been stung and stung hard by regulators in the US and Europe for anticompetitive conduct in the past. The situation is a bit puzzling on the motives. Nvidia holds a dominant market position with their GeForce graphics products: they are already the most popular brand among buyers, they are essentially unopposed at the high end and aspects of their technology are ahead of their nearest competitor. There is no need to force OEMs into selling Nvidia products; buyers were already buying mostly Nvidia stuff anyway. GameWorks has famously been a source of angst among the gaming community, with Nvidia “partnering” with game developers to integrate their effects that mostly cripple performance on AMD GPUs – and sometimes hurt Nvidia performance, too – while providing little visual benefit. HairWorks, for example, notoriously overused tessellation to harm AMD performance while AMD’s competing technology, TressFX, actually provided better performance on both Nvidia and AMD hardware. TressFX was an open technology that didn’t gain much traction while Nvidia signed partnerships to ensure HairWorks was used in games instead. AMD are clearly concerned about the GPP, as they were the ones that shopped around this story in the first place, as HardOCP acknowledges. It’s always interesting when a company pitches publications like ours with a negative story on a competitor. It doesn’t happen too often, but when it does, someone at the company is usually pretty annoyed with the practices of their competitor (to say the least). It's a fine line that divides fierce competition and the sort of practices that end up hurting consumer choice in the long run. Competition is healthy and we’re all a bit sick of companies abusing their dominant position to further their own interests rather than using it to create a vibrant hardware landscape.